Family Design Days encourage children and adults to observe, explore and design together. 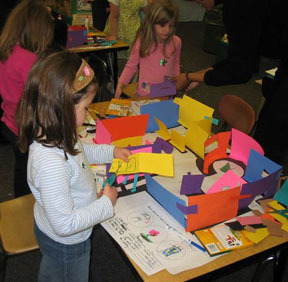 In these hands-on workshops, families are introduced to architecture and design through exhibit tours, walking tours or slide shows, and then complete a hands-on design activity. 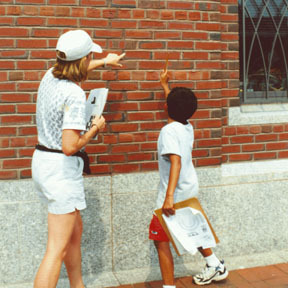 Architects and Design Educators lead the activities focused on the Built Environment of Boston and the world. Family Design Days take place one Saturday a month at BSA Space (290 Congress St., Boston) and are designed for children 5 – 13 years old, accompanied by an adult – a maximum ratio of 3 children per 1 adult will be required. Registration is strongly recommended. 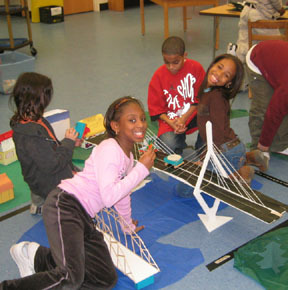 Student Design Days are 2-hour workshops for Grade 3-8 groups visiting BSA Space on Atlantic Wharf. 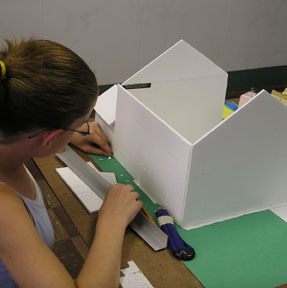 Programs enable students to work with professional architects on hands on design projects. 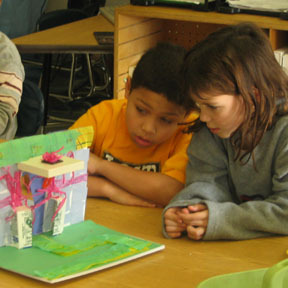 Programs begin with an exhibition tour, neighborhood walk or interactive slide presentation and end with a hands-on design project for student teams. In collaboration with teachers at a school or community site, LBD:MA master teachers and visiting architects plan and co-teach student design sessions. Programs are typically offered once or twice a week for 1.5 hours per session. For programs involving more than one class, a LBD:MA master teacher may teach up to three classes per day. In addition, teachers and community educators with their own architecture and design curriculum in place can request a visiting architect to assist with that program on a per-session basis. An architect can bring his or her professional expertise to a program, demonstrating schematic and CAD drawing techniques; sharing plans and models; leading an architectural walking tour; or discussing concepts like green building techniques or sustainable design. LBD:MA programs are based on the design process as outlined in the MA Curriculum Frameworks, and incorporate learning standards in mathematics, science and technology/engineering, social science, English language arts and the visual arts. Click here to view our summary of 21st Century Skills and Design thinking. Which architecture and design program is right for you and your students? Considerations include your curriculum objectives, number of students and available time frame. After browsing our program listings, please feel free to contact us. We will help you to determine which program and how many sessions will be needed to give your students a successful design experience. 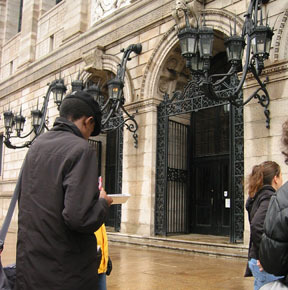 See our resources section for a list of past LBD:MA program sites. For pricing and more information about Children’s Design Workshops, please contact us. This program show that young people are fully capable of developing solutions for real-world community problems; and that they are eager to communicate their ideas about the remarkable potential of our neighborhoods. 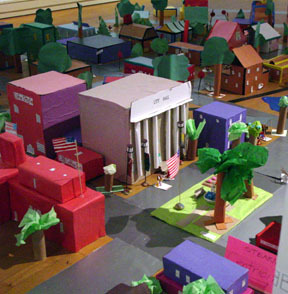 In this program students engage in a real community visioning process–developing solutions for a community design project based on a local site. 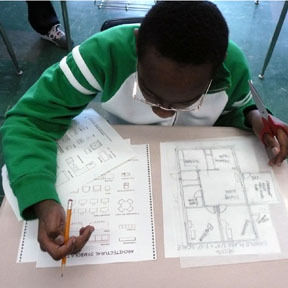 Students learn to read and use maps and scaled drawings, and then set them to work tackling a local design issue. They visit the site, define their design problem and develop a solution. 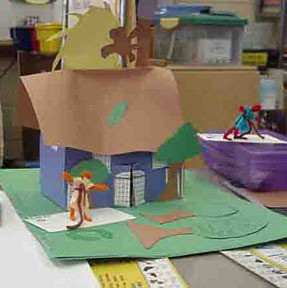 They draw scale site plans and floor plans, build scale models, create presentation boards and often present their final projects to community members. The process is an excellent way to connect community study with mathematics and design. In this program, created with the help of educational facilities architects, students research and design learning spaces. Students consider who will use the space; what makes a good learning place; where is the site; when will it be used and why? 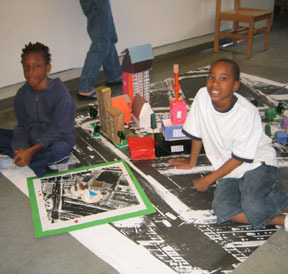 In the design phase they communicate their ideas through mapping, drawing, model-building and writing. 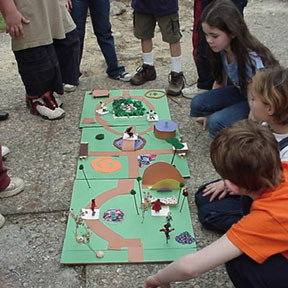 These activities use real spaces, making this a much-needed project for schools experiencing renovation/building projects.